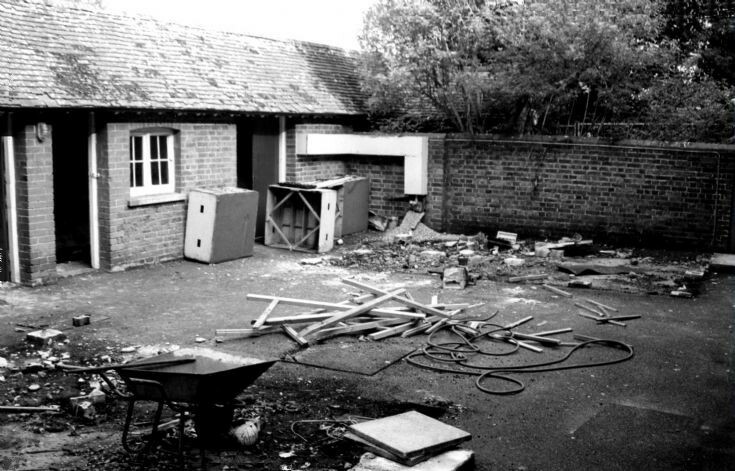 The picture shows some outbuildings at the rear of Handcross School perhaps taken in the 1960s. I assume some building works were then taking place but no further details were supplied with the picture. I would guess that the wall is the boundary between the girls’ playground in the foreground, and the garden of School House. At least that is how I remember it in the 1940s and 1950s. If that is the case I would suggest that the doors on the left led to the girls’ toilets, but I am no expert on such matters! The toilets for the boys were located further away from the main school building and comprised a small square brick-built room but with no roof, which wasn’t much fun in wet and/or cold weather! Select Open Document to view the second half of the letters received by head teacher, Mrs Stenning, following the centenary celebrations in 1978. When I was there in the 1970s these buildings housed a kiln and there was a portakabin staffroom in the space to the front of them. I remember going in there to make the teachers their coffee when they were on playtime duty; health and safety wouldn’t allow that these days!